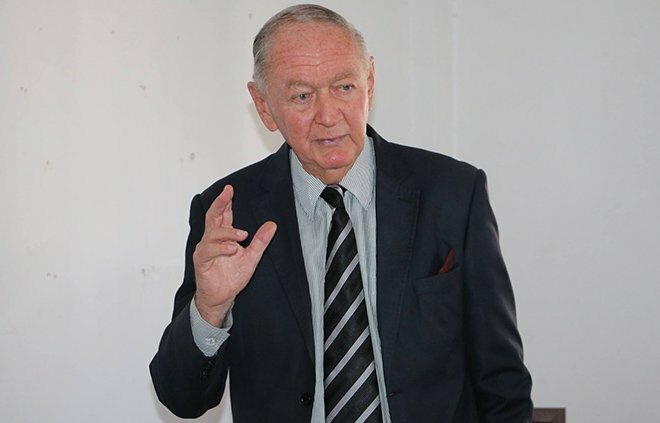 MDC-T legislator Eddie Cross's claim that according to the last census of 2012, Shona has become by far the language of the majority in Bulawayo at 70% has irked the Mthwakazi Republic Party activists who are saying they failed to sleep because of such revelations. Jefrey Mudenda said it can be a deliberate exaggeration but it can't be far from the truth. "You can feel it whenever you enter in Bulawayo after spending a long time away from the city: a feeling of unfamiliarity; an invasion. This is probably true of every town in Matabeleland such as Victoria Falls, Hwange, Beitbridge, Plumtree and Gwanda. This worries me sick. So Bulawayo has become another Gwelo and Queque which are Shona speaking towns in the middle of a Ndebele speaking area after losing their Ndebele linguistic majority to Shona?" he said. "How are we going to stop this? Can MDC (in its various forms) PDP, ZAPU, ZANU PF, NPP, APA etc really stop this? No, no, no, never! Any party which is interested in Zimbabwe politics of numbers and seeks authentication through an election will never challenge Shona hegemony. We need a Catalonia solution. And what about rural Matabeleland? For how long can it hold the fort given the trends introduced by the Land Reform? Are we not going to witness another Belingwe-Shabani scenario there? Our generation will be worse than that of Joshua Nkomo if we don't do something urgently. We surely must stop this annihilation of our indigenous populations in Matabeleland and Midlands." He said Eddie Cross and his MDC T party and all other parties fronted from Mashonaland should be stopped from continuing to dominate our territories as they have proven to be the replica of ZANU pf ,their mother party. "Most of us are left with no choice but to give our support and allegiance to MRP whom most people especially from Mashonaland and other Ndebeles who wine and dine with the shona savages regard it as a tribal party, in essence who is not tribal in Zimbabwe, shonas are the worst tribalists, because they implement it practical against Mthwakazi tribes," he said. "It is people like Eddie Cross the imbecile racist who got a parliamentary seat from Bulawayo south and goes on to insult the trust these people gave him. Cross is another gukurahundist though he forgets that the satanic 1979 grandplan by Shonas also speaks about the execution and elimination of whites, this the shonas accomplished through their chaotic land invasion of 1999-2000." "My plea to my fellow Mthwakazi people who comprise of Tonga, Venda, Khalanga, Nambya, Xhosa, Basarwa, Sotho, Basankwe, Coloreds, whites of Mthwakazi, Lozwis is vote MRP in 2018 harmonised elections. This is the only party that is unapologetic fighting the shona hegemony and dominance."